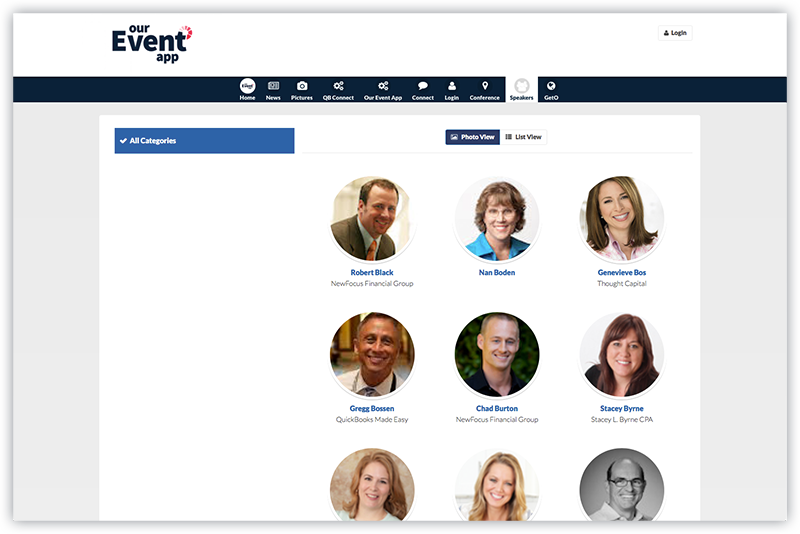 OurEventApp is completely customizable so you can import your brand, features, and needs. 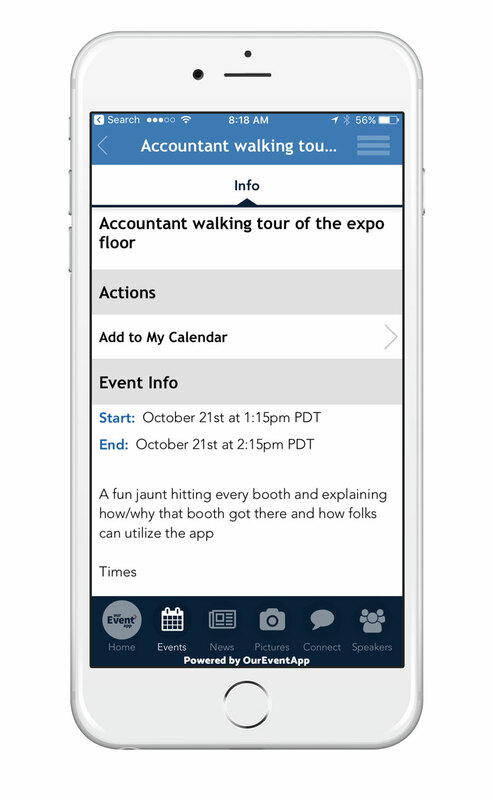 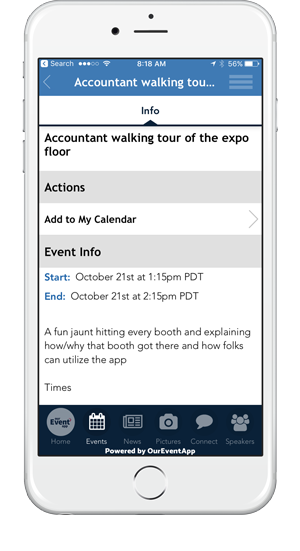 Display specific events within the app. 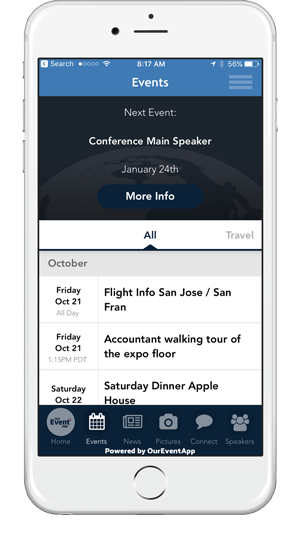 Set dates and times for conference speakers, workshops, meals, and more. 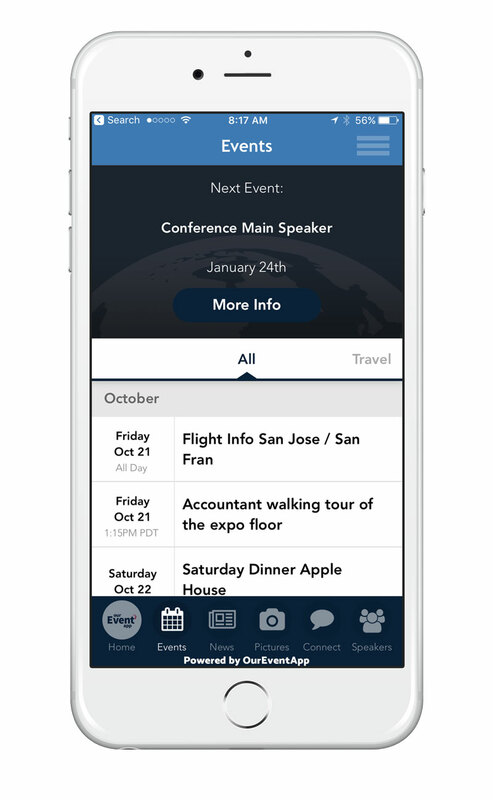 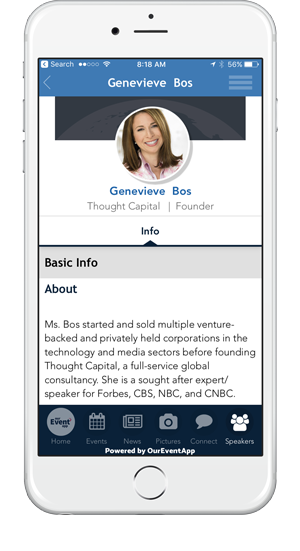 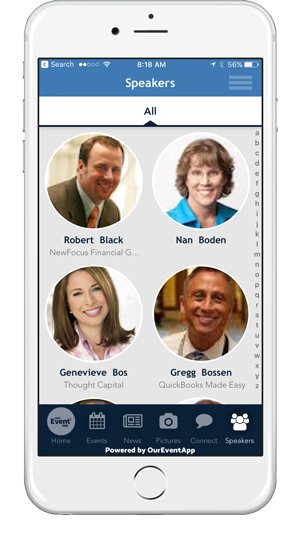 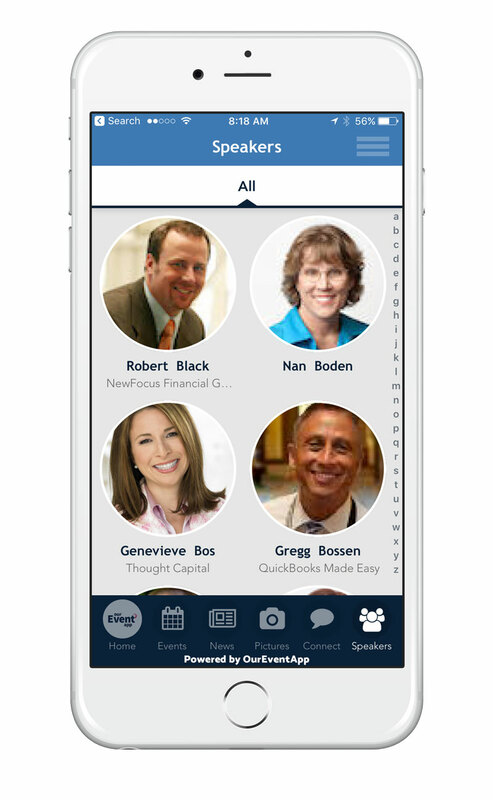 Users can see a complete list of speakers in the app, including when and where they're speaking, and their background profile. 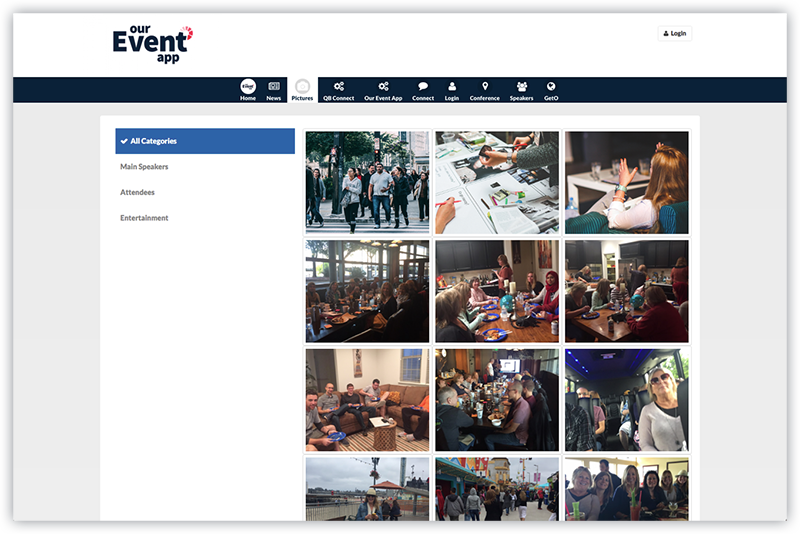 Let your users upload photos while they're at your event to give everyone a way to stay connected. 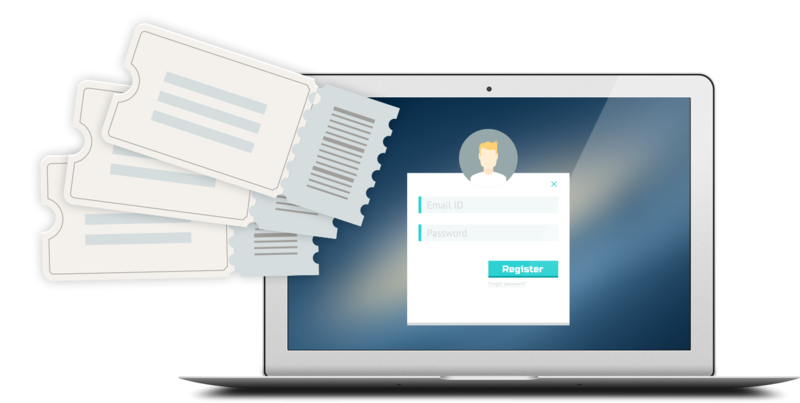 Give your users a voice by letting them fill out custom surveys. 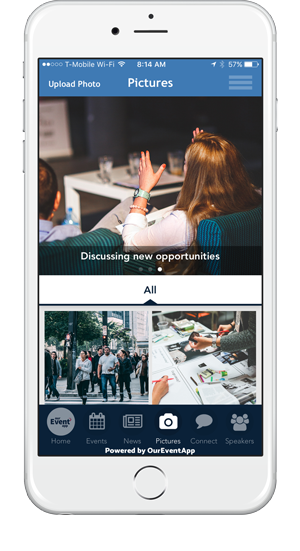 Featuring multiple types of questions and answers. 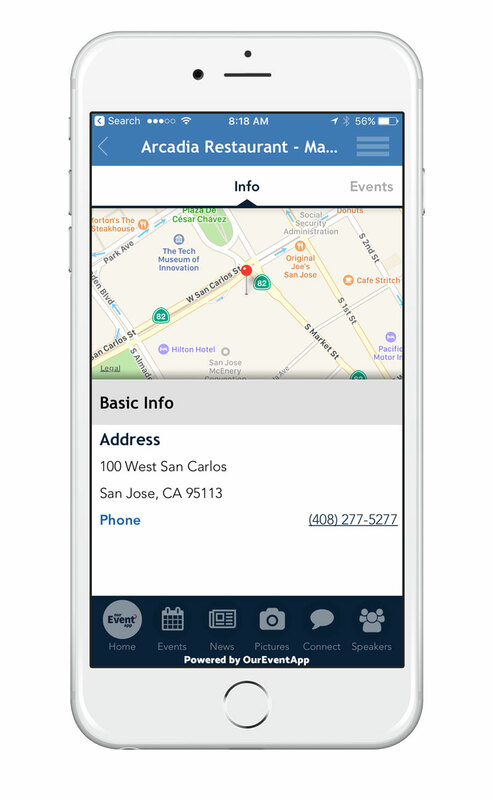 Send important reminders and updates to your users by directly sending their phones a push notification that they'll get instantly. 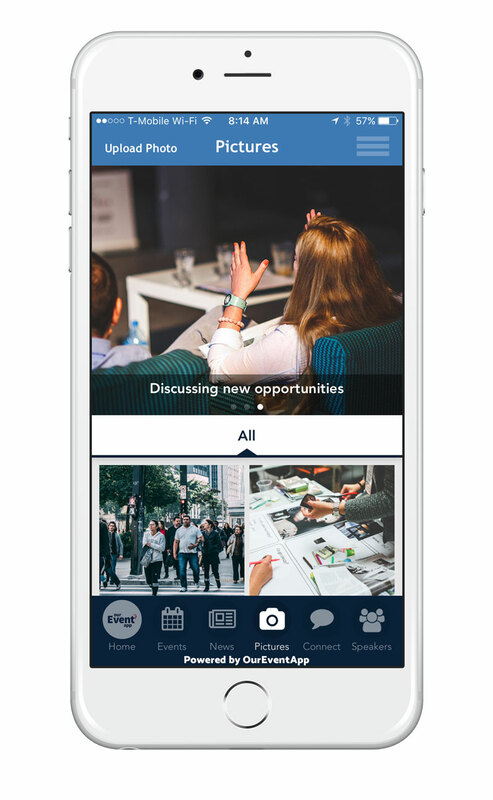 Import your existing social media feeds, including Facebook and Twitter, so you don't have to put in the same information twice. 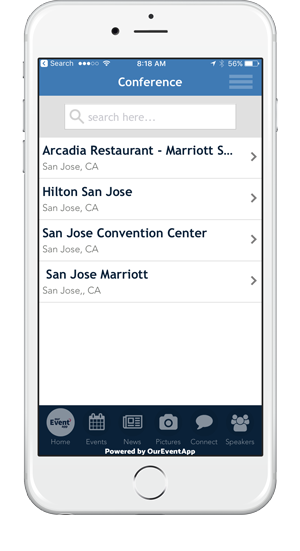 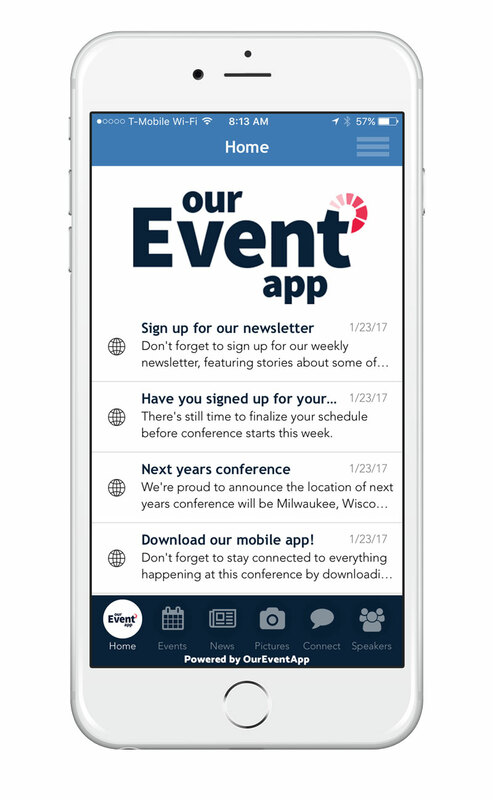 Conference info at your fingertips. 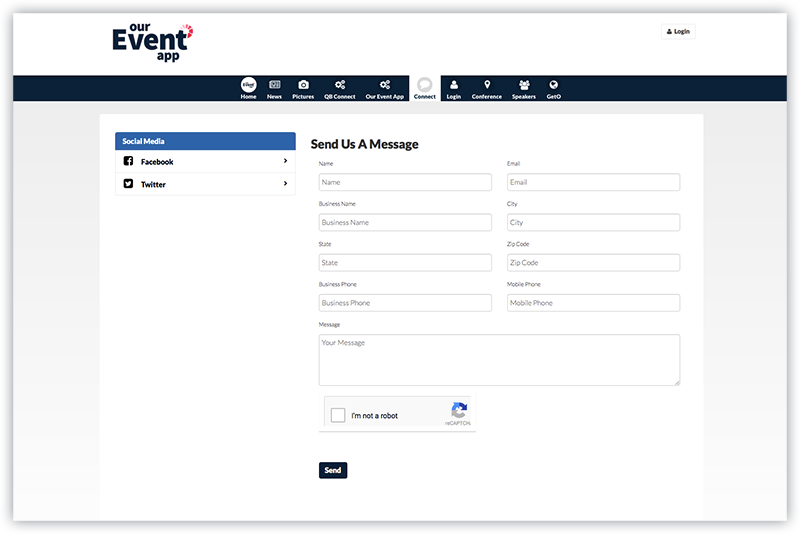 Your users will always have a way to stay connected. 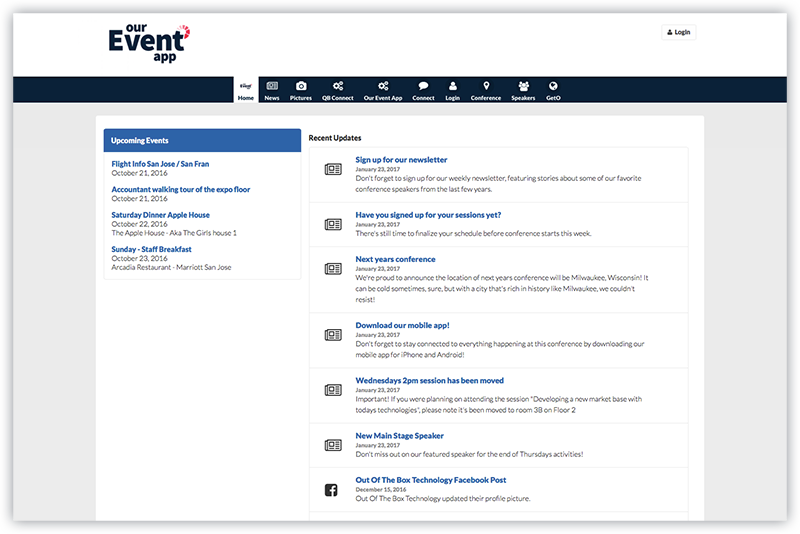 You can control your app & website all within our admin panel. 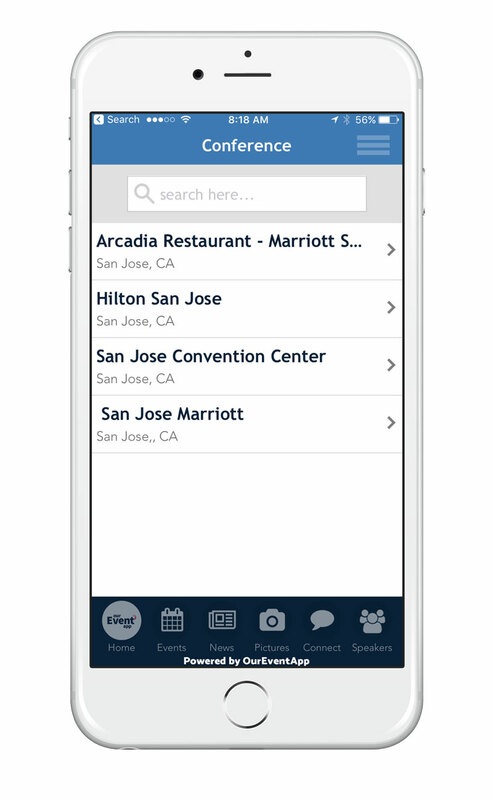 Make changes to any page and it will automatically update on both the app and the website. 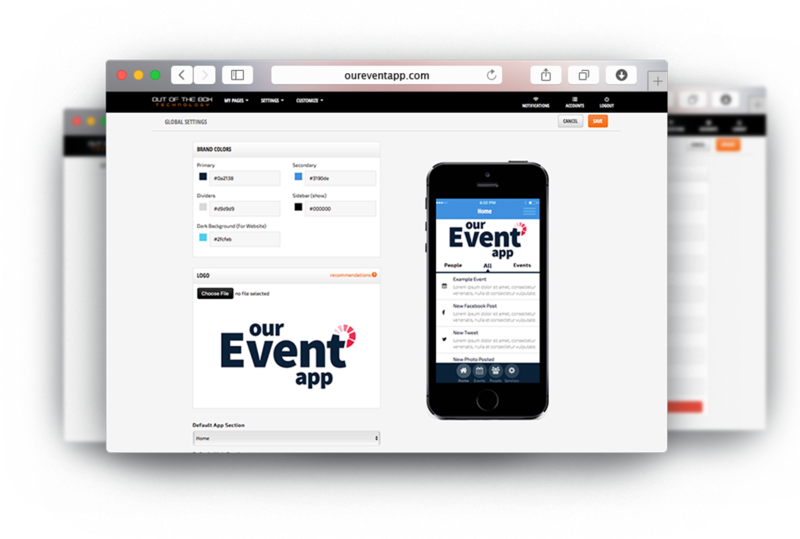 We designed our platform to work on any device your users might have. 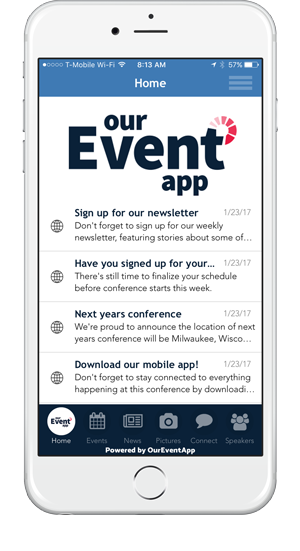 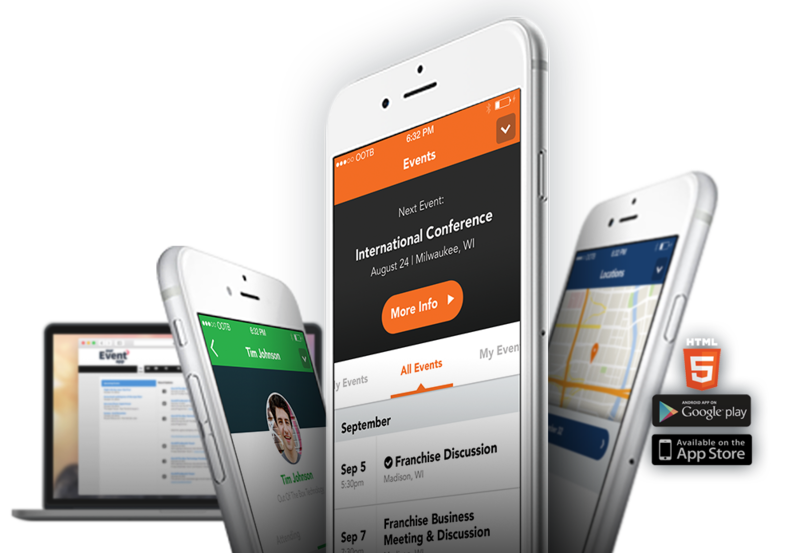 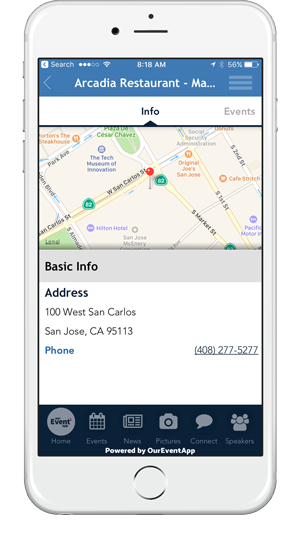 Whether it's an iPhone, Android, tablet, or a website, your users will always have a way to get updates on your event. 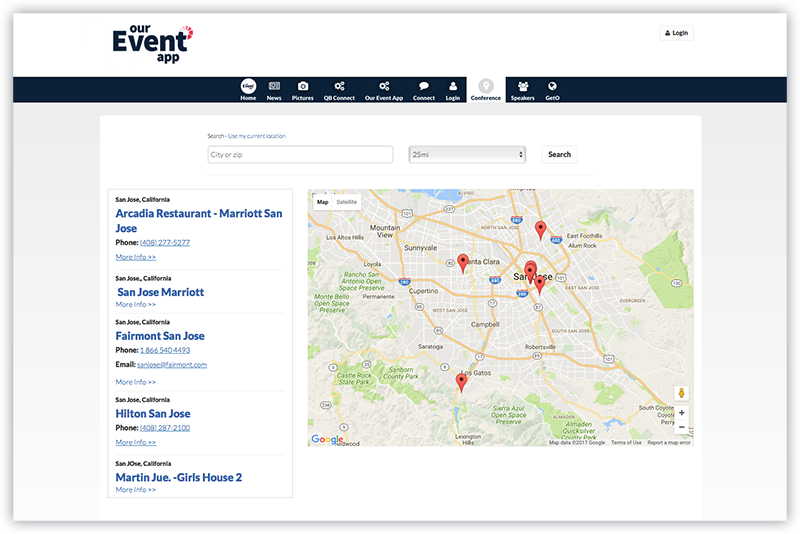 Contact us at (888) 682-8666 to start planning your event!